MagnaflexTM creative construction kits help inspire kids of all ages to build anything they can imagine. Building kits include colourful magnetic strips, connector pieces and an easy-to-follow instruction guide with project ideas including animals, vehicles, wearable accessories and more. 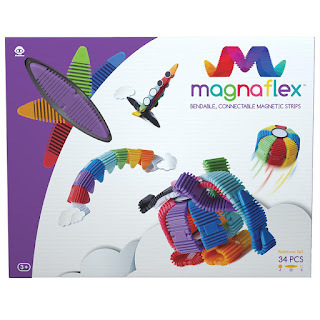 Magnaflex unique shape and material allow kids to easily bend, zip, connect, or stack the magnetic strips together. Decorate your creations with metal connector pieces that also add structure. Magnaflex high-quality, flexible Magnetic Strips let you build anything you can imagine. Bend and connect Magnaflex strips magnetically and use their unique shape to zip or stack them together. Create animals, vehicles, wearable accessories and more. Add structure and complete your design with painted metal connector pieces that become eyes, wheels or decorative accents. Design flat 2D or organic 3D objects anywhere and display your creations on magnetic surfaces such as a fridge door. Have fun challenging your imagination to come up with new designs or games with this innovative, educational toy that promotes creativity, visualization and fine motor skills. Extra connector pieces help you complete your design with eyes, wheels and more Idea-starter design booklet included! As school is letting out for the summer, there's no better time than now to add the new WowWee Magnaflex Rainbow Magnetic Strips Set to entertain kids for the summer. My kids absolutely love this set and I love seeing all the creative things they can make with it. Since the new WowWee Magnaflex Rainbow Magnetic Strips Set is flexible it really allows for an unlimited number of creations. My kids play with this set for hours and as a mom of four I love that they can all play with it together or on their own. The new WowWee Magnaflex Rainbow Magnetic Strips Set is the perfect educational toy that promotes creativity, visualization and fine motor skills. 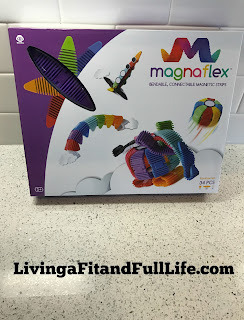 The new WowWee Magnaflex Rainbow Magnetic Strips Set is the perfect way to keep kids busy this summer and my family and I highly recommend it! Click HERE to find a store near you that sells WowWee products! 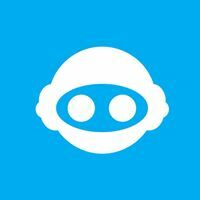 Click HERE to learn more about WowWee! Follow WowWee on social media!